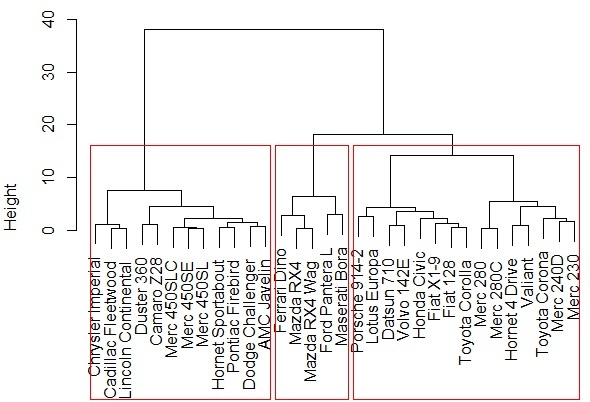 Cluster Analysis is a statistical technique for unsupervised learning, which works only with X variables (independent variables) and no Y variable (dependent variable). We covered the topic in length and breadth in a series of SAS based articles (including video tutorials), let's now explore the same on R platform. Links for series of previous articles on Cluster Analysis, we strongly recommend to go through all (if not possible then at least first two) the following articles in order to understand Cluster Analysis thoroughly. Let's try to learn both of these in R one by one. But before that let use a package that is very handy to learn whether the data is Clusterable or not, If it is we would use the same for our analysis. HCA starts with no assumption of number of clusters, we decide it in the course of analysis itself. 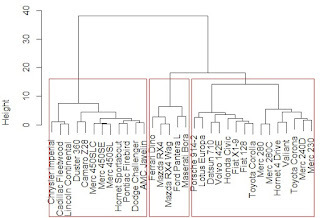 # The dendogram is used to decide the number of cluster that should be made. We need to draw a horizontal line cutting the dendogram beyond which the height, which represents the inter-cluster variance, is increasing sharply and then count the number the clusters, like here red line is the optimum line as blue line is passing through sharp variance increase zone and with red line number of cluster is 3. # Let's populate Cluster_id in the data itself. 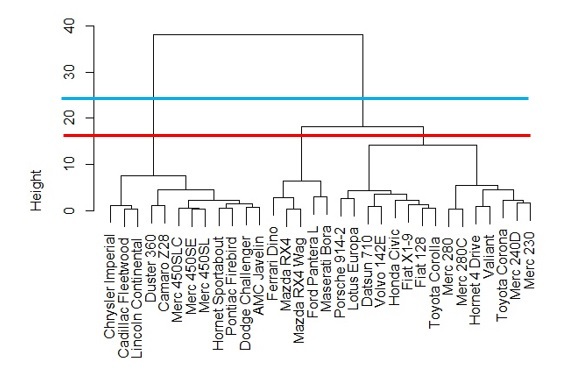 # and we are done with hierarchical clustering, let's now understand the k-mean clustering. 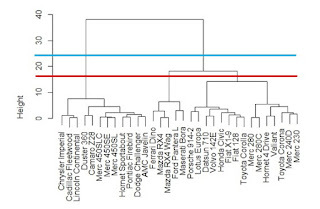 K-Means or Non-hierarchical cluster analysis starts with an assumed number of clusters initially and the number of assumed clusters is "K". That's it ... The only question left unanswered is: how to decide the "K"? # So as the number of cluster increase, within cluster variance goes down and inter cluster variance goes up. We have witnessed the Inter-cluster variance in Dendogram above, in Scree plot within cluster variance comes into play. The within cluster is reaching to an optimally low level at 3rd point, beyond which it is not decreasing that sharply. So K = 3 is a good choice, the choice is little subjective though. Enjoy reading our other articles and stay tuned with us.